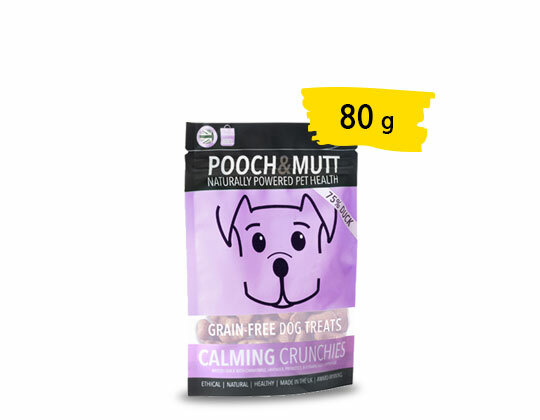 SENSITIVE SALMON are Pooch & Mutt’s natural, ethical and delicious treats. Sensitive Salmon treats are 75% Scottish salmon, and also include prebiotics, omega 3, antioxidants, vitamins and minerals. They are also low-calorie, and free from grain, cereal and gluten. Salmon is extremely easy to digest. Prebiotics are ‘good bacteria’ that help to regulate your dogs digestion and keep their immune system healthy. Omega 3 has many benefits for your dog including skin and coat quality, heart health and brain function. Each pack contains approximately 30 medium sized bones. As baked treats the bones can easily be broken down into smaller bits and used for training, or can be fed whole as a substantial treat. Sensitive Salmon are the perfect treats during walks and as an on the go treat.